In today’s modern society, the world around us is full of loud and unnatural sounds. It’s to be expected, therefore, that many people will experience a reduction in their hearing abilities. Research shows that residents of big cities are liable to notice a decrease in hearing relatively early in life. Such high noise levels can cause considerable damage to the ears. Fortunately, people who have hearing problems can improve their outlook with the help of modern hearing aids. Even with such advanced hearing aid technology, they might not regain their full hearing capability. Happily, though, they will experience considerable improvement in their hearing abilities. We’ve come a long way since the first body worn hearing aid was invented. It was a cumbersome gadget which included an ear mold attached by a cord to an amplification pack. The ear mold was fitted onto the ear, and an attached cable ran down from it to the amplification pack. The amplification system was worn on a belt or stuffed in the pocket. Fortunately, things have improved a lot over the years with the introduction of digital hearing aids. These days, the standard in hearing aids is the behind the ear (BTE) instrument, which is so small that most people won’t even notice it. Studies show that BTEs can be used even by people who have profound hearing problems. And the technology keeps getting better and better. At present, there are BTEs that use thin hair-like tubes to help you hear. Those who are uncomfortable with the idea of a hearing aid find this style more acceptable since you can hardly see it. New models of hearing aids offer a variety of modes to choose from. For example, you can adjust the hearing aid to a quiet setting if you’re conversing with someone. On the other hand, if you want to listen to music, you can optimize your enjoyment by switching to music mode. There are three main components to a hearing aid, the amplifier, microphone and speaker. As well, a number of these products have advanced features that can greatly enhance the experience of wearing a hearing aid. Some of these features are directional microphones, the ability to adapt automatically to varying noise levels, and the reduction of noise and feedback. Discuss the various choices that are available to you with your doctor so that you can benefit from the latest technology. You will need to undergo tests to determine the extent of your hearing loss. These days, specialists have access to highly advanced technology to help them make a diagnosis. Therefore, it won’t be long before you can once again experience the pleasure of good hearing. If you are one of those people who have problems hearing, then getting a pair of hearing aids is your best shot. But the problem is, most people are unfamiliar with these devices which make it sometimes hard to know which one is good and which one is not. Perhaps, you are also worried about how it will look and is still unsure if it really helps or not. The only way to end the confusion is to know about the hearing aid options available to you. By finding out what hearing aids are out there, what to look for when you buy hearing aids and how to take care of it may help lighten up your apprehensions. There are several factors to consider when buying hearing aids. Consider the following criteria when you choose the hearing aids that are right for your condition. While all hearing aids are made up of the same parts that carry sound from the environment to your ear, they also come in different styles and different sizes as well as the way they are placed into your ear. There are some hearing aids that are small enough to fit inside your ear canal, which makes them almost invisible. There are also others that partially fit to your ear canal. When you buy hearing aids and is caught up with the style and size, keep in mind this rule of thumb – the smaller the hearing aid, the less powerful and the shorter its battery life, and the more expensive it becomes. Hearing aids that are placed completely in the canal are molded to fit inside your ear canal, which improves mild to moderate hearing loss in adults. It is the least noticeable kind and is less likely to pick up wind noise because the ear protects it. The great thing about this type of hearing aid is that it is easy to use with the telephone. However, major drawback is that, it uses smaller batteries which typically lasts shorter compared to larger batteries. Hearing aids in-the-canal is custom molded and fits partly in the ear canal, but not as deeply as the previous hearing aids. It is best for mild to moderate hearing loss in adults. In-the-canal hearing aids are also less visible and are easy to use with the phone, but it doesn’t fit well with smaller ears sometimes. Half-shell hearing aids are a smaller version of the in-the-canal hearing aid, but fill the lower portion of the bowl-shaped area of your outer ear. It is recommended to buy hearing aids of this kind if you have mild to moderately sever hearing loss. Do you like listening to Canadian geese in flight? Each year, these birds begin their migration to enjoy the weather in warmer regions. There are over 50 million people who suffer some loss of hearing and will never experience the wonder we just described. According to audiologists, lawn mowers, leaf blowers and vacuum cleaners all contribute to hearing loss unless a person wears headphones or ear plugs. Concerts and sporting events can also do serious damage to your hearing. Lists as long as your arm of common appliances have been made by audiologists. Many Americans have ignored this advice and sustained permanent hearing loss that necessitate the use of a hearing aid. Hearing loss can happen to anyone. It does not matter how much money you make. Famous baseball players, a former president, a popular actress and a male actor have all suffered from hearing loss. All of them had to get a hearing aid to fix or improve their problem. In the U.S., hearing issues are extremely prevalent and dangerous. Nerve damage, or sensorineural, causes most of the cases of permanent hearing loss. Many things can cause this condition, and the good news is that hearing aids can help those suffering from it. You can find thousands of models to choose from, each with their own unique properties and abilities to correct your hearing, though you really should buy two of them. More than half of children and babies get an ear infection sometime in their childhood, causing temporary hearing loss and making people spend billions of dollars to treat it and get their child better. There are encouraging and exciting new advances in newborn testing, says one otolaryngologist. Beforehand, people just got their hearing checked if there was a problem, but if your newborn is tested for hearing loss, you can have the best chance of combating it before it gets worse. Tiny hairs located in the cochlea respond to loud/soft stimulus by giving off their own otoacoustic emissions. The enlarging and shrinking of these hairs can be measured as giving off an extremely soft sound. A person commonly loses some degree of hearing as they age but this form of hearing loss is not well understood. Another condition known as tinnitus (ringing of the ears) has been found in approximately 50 million US citizens, and it is most often together with hearing loss. Many people’s causes of hearing loss have nothing to do with their age. Modern living is a major culprit of hearing loss according to audiologists. Many people now endure loss of hearing because of the situations that living in the civilized world creates. Work and recreational environments are noisier than ever and our stereo systems, cars, snowmobiles, farm equipment, office equipment or even home appliances such as your vacuum cleaner can have a negative impact on our hearing. The signs of hearing loss can be hard to spot at first. What lets you know that you’re losing your hearing? When you have to turn off the TV because it seems as if people are mumbling, and you notice that high/low pitch sounds are not there anymore. In attempt to hear anything you may find yourself tilting your head, favouring one ear over the other. Sometimes, the problem is so bad that a person may actually avoid parties or other social events. The brain and the inner ear share a complicated process in order to help you figure out a specific sound when in a crowd, and hearing aids can’t do that yet. We go through our lives every day, surrounded by sounds, and yet most never stop to consider this amazing miracle. There are many people that have permanent hearing problems these days that require hearing aids to help them again. Many people don’t realize that hearing aid help is available if you just look for it. Help is available for many different reasons. Knowing what these reasons are will help you see why it is a must that you take time to get help before trying to decide on the best hearing aids for your particular hearing problem. Here are the most important reasons that help is available for anyone that takes time to find it. 1. Not everyone is the same – Not everyone has the same type of hearing loss and this means that getting help will allow you to find the right treatment for your particular hearing issues. Help can be found in many different forms such as a hearing test, help from your Hearing Aid Specialist, information online and many other things. You just need to take time to find the type of help you need in order to find the best hearing aids for your hearing problem. 2. Different brands, types and styles – There are so many different hearing aids these days that trying to find the best one for you can be very hard to do. By getting help you will be able to learn important information about each hearing aid before making your final decision on the best one to get so you can hear again. 3. Your comfort – Not everyone likes the same type of hearing aids and not everyone will find the same ones comfortable. Some people are self conscious about wearing a hearing aid, while others don’t have a problem with it. Hearing device help can ensure that you find the hearing devices that are comfortable for you to wear and that you won’t be self conscious about. 4. Hearing aid questions answered – Many people have questions about hearing aids and other things when they find out they have a hearing problem. By taking time to find help you will be able to get many of your questions answered so you can learn to live with your hearing problems better. Now that you understand the reasons that hearing aid help is available, you can see that it is definitely a smart decision to take advantage of that help to be sure that you choose the right hearing aids for you. Don’t try and do it on your own when you don’t have to; use the help and you will soon find yourself enjoying the sounds of life again. Those sufferers of ringing in the ears often wear hearing aids for tinnitus relief. Utilizing these auditory tools can help repair or negate the damage done over time from their incessant hearing condition. For those who are not familiar with tinnitus or who may wonder how ringing in the ears can cause the need for tinnitus hearing aids, the following outlines the different ways that this condition can hurt hearing. Further, it explores the different types of hearing aids available to sufferers and why this methodology of symptom alleviation may or may not be the best fit for their lives. Tinnitus is more than just a constant or intermittent ringing in the ears. It is a problem that can greatly reduce the hearing of a sufferer. Not only is there the problems with annoyance and frustration that comes with this condition, but, sufferers may actually see degradation of hearing abilities over time. This is because the auditory nerve centres and inner ear of someone with tinnitus can become damaged as the ringing continues. This, though, is not because of actually damage but, rather, a perceived damage by the brain. This is an extremely common occurrence in tinnitus patients. Roughly 90% of those with diagnosed tinnitus say that they have mild to extreme hearing loss as a result of their condition. In order to combat tinnitus, hearing enhancers or auditory devices are often used. These electronic instruments modify the sound around an individual and help them to better hear what is taking place. The amplification of sound helps the wearer by taking the external environmental sound and amplifying it, through a network of circuits that send the sound directly down the ear canal. Hearing aids for tinnitus, then, actually work by bridging the gap between what the individual has lost as a result of their tinnitus and what is considered normal. With over 28 million individuals in the United States alone suffering from some level of hearing loss, these devices are highly common and often underutilized. 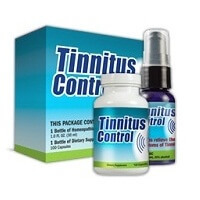 Another common option for those that want to improve their hearing abilities by minimizing the impact of tinnitus on their lives are what are known as tinnitus maskers. These devices are commonly confused with tinnitus hearing aids but they are two very different solutions. Tinnitus maskers are machines like hearing aids that may be worn in the ears of an individual with this condition. They are not, however, sound amplifiers but are actually sound maskers that produce a white noise to distract the brain from the impact of ringing ears. Tinnitus hearing aids, however, are actually utilized for amplification of sound, as noted previously, and not meant to drown out the ringing in the ears that tinnitus sufferers face. For that reason, while both devices are important to helping patients of tinnitus, they are not the same and should not be considered as such. As with many health resources, tinnitus hearing aids are not uniform. That is to say that there are many different options in styles, sizes, and power. For instance, some hearing aids for tinnitus are extremely small and fit within the year so that they are barely visible to the eye. These devices do not wrap around the ear and remain virtually hidden out of sight. Other hearing aids, however, are larger. These devices hook around the ear and are more noticeable to others. There are power differentials as well. That is to say that there is variance on how many decibels of amplification are a potential with each type of device that is worn. Wearing hearing aids for tinnitus can involve quite the adjustment period. These are, after all, new and foreign objects that are being worn on the body. It makes sense that there is going to be a balancing period in order that they can be most effective and feel near normal to wear. Hearing aid wearers, however, can take steps to get the most from their hearing aids. These include wearing them regularly and not taking them in and out. This allows the brain and body to adjust more quickly because they are forced to do so. If there is constant removal of the devices, then, there is no need for the senses to get used to these devices. Also, keeping the batteries charged can be of help as well. This will ensure that there is no lag time in which a user must go without their hearing amplification devices. Finally, those who utilize tinnitus hearing aids should learn their particular devices different settings and intricacies. When a user knows the power and ability that is housed within their device, it only serves as an opportunity to better utilize the product for life and hearing enhancement. When certain types of hearing loss cannot be treated by medical means (such as surgery or medication), hearing aids are usually recommended. Unfortunately, there are a lot of people who have incomplete and inaccurate information about hearing healthcare which leads to frustration and a feeling of disappointment. Once a person knows the kind of hearing healthcare he or she should apply, hearing loss can be helped. Socialization, communication and well-being feelings are very dependent on the sense of hearing. Hearing loss and any form of hearing impairment gives a large negative contribution to a person’s quality of life. Hearing loss is a major sensory deficit which leads to physical, emotional, psychological, mental and even economic disadvantages. And to make this condition worse, there are a lot of scattered myths about hearing loss which prevents people from practicing proper hearing healthcare. Fact: It is true that most hearing aids are expensive but they are not too expensive for their price. It is important to invest in this kind of medical equipment because an improved relationships and quality of life is at stake. It is like investing for a positive attitude because of the fact that the hearing impaired person is able to hear and listen clearly now. Fact: Just like what the name implies, hearing aids were created to help a hearing impaired person whatever the condition is. It was not created to make a person hear again nor delay the progression of nerve deafness. Fact: Advertisers could lead a person to think that one brand is better than other brands of hearing aids. But that is not the case. Every person has a peculiar type of hearing loss (or hearing impairment), hearing needs as well as brain processing. It is important for a patient to see an audiologist to determine what type of hearing aid will best fit and work for his or her unique condition. Another aspect in determining what type of hearing aid you should get is your lifestyle. Fact: It is important for people to know that we can really hear with our brain. Our ears are just the mechanical device that is responsible in picking up and sending the sound to the brain. When a person has hearing loss, the brain is not able to read and interpret the signal that was passed by the ears. Wearing the appropriate type of hearing aid will help the brain to re-learn the part that it was missing. So it is very important to wear hearing aids throughout the entire day so that a person can hear clear sound in any variety of situations as well as to a good quality of life.